Salam! Learn Azerbaijani online through Skype from the comforts of your home by native tutors to increase your prospects for career, travel, friendship or love! Azerbaijani also known as Azeri is the official language of the Azerbaijan Republic. It is also spoken in north-western Iran regions of Russia, eastern Turkey and Georgia. Azerbaijani is one of the 20 languages of the Turkic branch of the Altaic language family which includes languages such as Turkish, Uzbek, Kazakh, Uyghur, and Tatar. There is a degree of mutually intelligibility between Azerbaijani and Turkish. Azerbaijani is also closely related to Turkish, Qashqai, Turkmen and Crimean Tatar. There are two main varieties of the language namely North Azerbaijani and South Azerbaijani. Though sometimes they are considered as separate language there is considerable about of intelligibility between them. The Azerbaijani language of the Republic of Azerbaijan uses Latin alphabet for writing. Some of the distinctive characteristics of this language are absence of articles, absence of initial and final consonant clusters, use of postpositions instead of propositions, vowel harmony, and agglutinative in nature. There are several benefits of learning Azerbaijani language. Learning Azerbaijani will open career opportunities in variety of fields. Many Turkic languages are mutually intelligible dialects and learning Azeri is a stepping stone in learning other Turkic languages which is spoken all over the middle east. Also since Azerbaijan is a major trade partner of USA, people fluent in Azerbaijani are in great demand. If you are very interested in Azeri culture and literature, then learning the language is the best way to get into the rich poetry and cultural traditions. By learning this language you can admire the great compositions of some world renowned poets from the region in its original language. Have plans to travel to Azerbaijan and immerse yourself in the native culture? 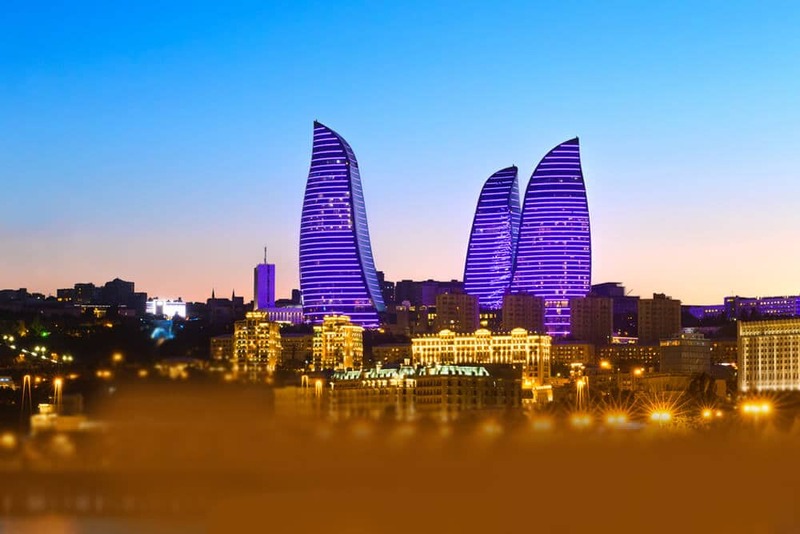 Planning to get a new job or expand your business in Azerbaijan? Here is a place to learn Azerbaijani Online through Skype with our Experienced Tutors anytime anywhere! So do you think you are ready to begin your journey to learn Azerbaijani? Then you are in the right place. Welcome to our Online Azerbaijani language learning platform via Skype with native Azerbaijani tutors from the comfort of your own home or office. All you need is a broadband internet access, free software Skype and a headset and you can learn Azerbaijani from the comfort of your home or office. Through our platform you will have access to a wide range of experienced native tutors who all possess great passion for teaching. We ensure that each student is paired with the most suitable instructor who understands the individual need of the student. One-to-one instruction means you get full attention of your tutor. Also you enjoy utmost flexibility and can schedule lessons at times that fit around your lifestyle. The prices too are very affordable. Join our Azerbaijani language courses today and embark on a fulfilling and rewarding journey. You can now take Azerbaijani classes one-to-one using Skype with a tutor of your choice. Our Azerbaijani lessons are custom, effective, comfortable, and fun. Pick a tutor NOW! Choose anything specific. Whether it is conversational Azerbaijani classes, business Azerbaijani lessons or just learning how to greet and impress a loved one. We can help you with them all.